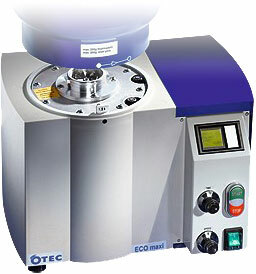 The modular concept of the ECO-Maxi makes it ideal for small series production. Their high-tech design makes these machines extremely economical, with savings being as much as 60 % compared to the cost of conventional finishing. 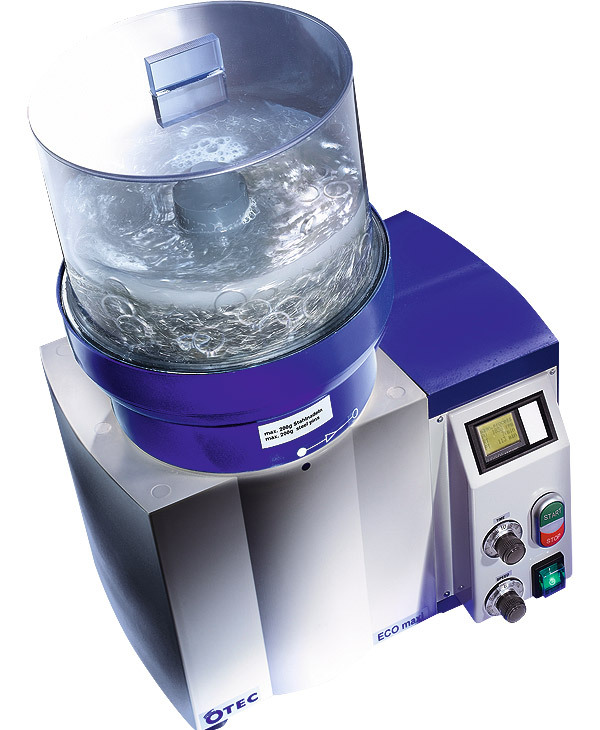 To cater for specific applications, the ECO-Maxi is available in the versions “magnetic”, “wet” and “dry” and as a flexible all-rounder, the “basic” model. Completely removes any traces of sanding/grinding and casting skin for perfect results. Puts a shine even on inaccessible areas of intricate work pieces and completely removes oxidation discoloration and any residual investment material. 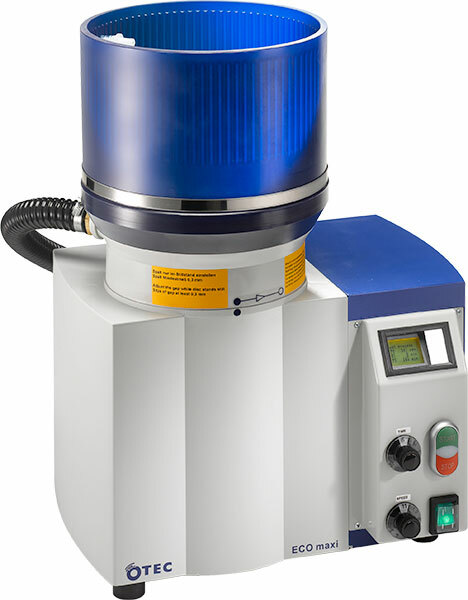 This machine type is the first to use three separate or up to three different finishing processes in a single machine. Perfect results are obtained after just 3-4 hours. 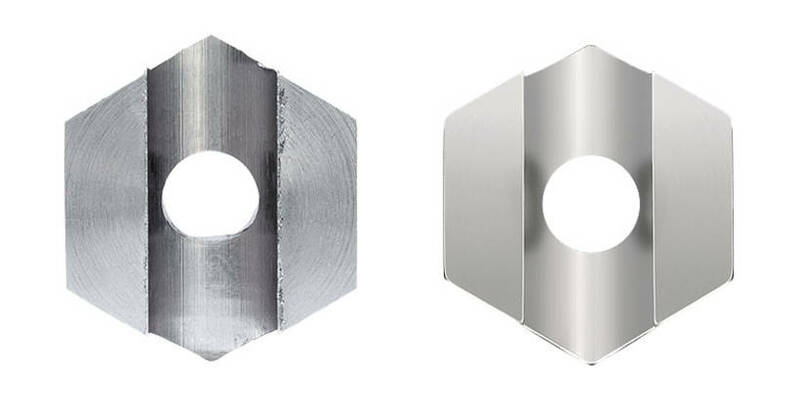 The use of a special “soft” abrasive medium ensures that the surface of the workpiece does not become hardened – reliably preventing the surface from becoming pitted. The results are the complete removal of any traces of sanding/ grinding and casting and clean, bright workpiece surfaces. 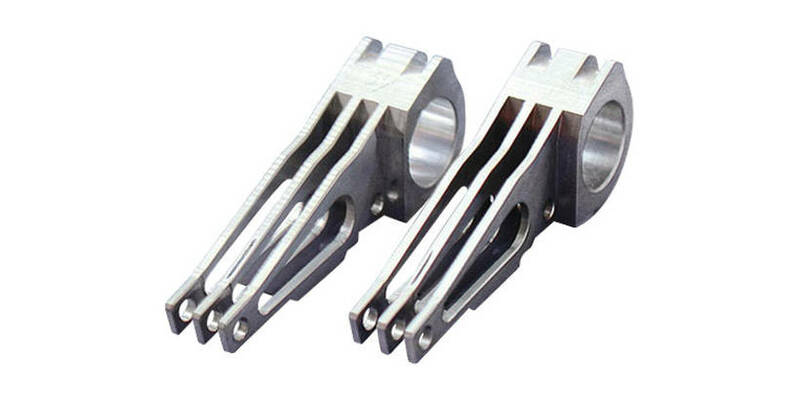 This machine type is designed exclusively for magnetic polishing applications. This is the preparatory stage for wet finishing and replaces the traditional electrolytic polishing bath. 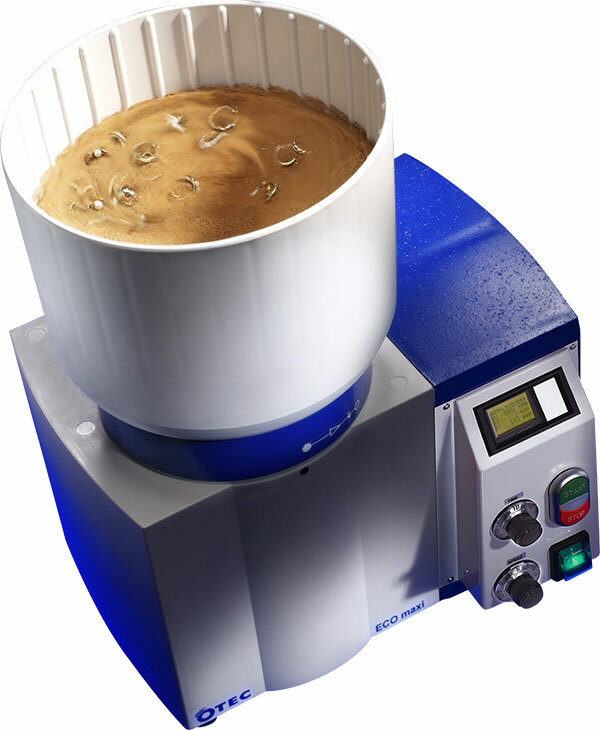 Oxide discolorations and investment material residues are completely removed after approx. 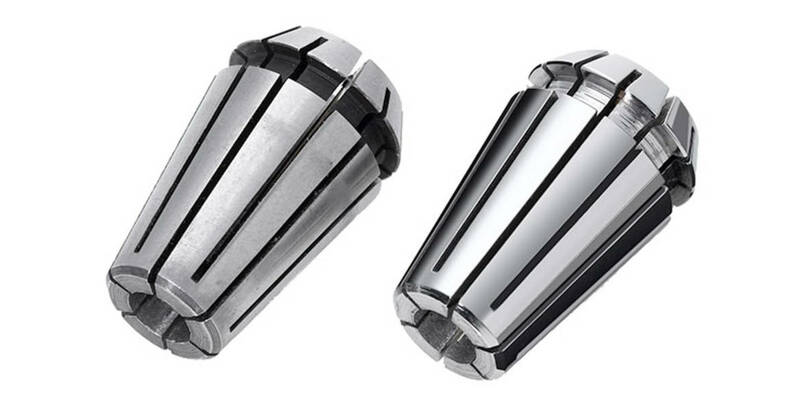 15 – 30 minutes and even inaccessible areas of intricate workpieces are polished to a high shine.